The Buick lineup has been revamped over the past few years and it now has a more youthful exuberance than ever. If you’re searching for a fantastic way to enjoy the ride in a vehicle that’s perfect for you with the premium feel and the impressive features you want, the Buick dealer in Milwaukee that will make a huge difference is Ewald Chevrolet Buick in Oconomowoc, WI where the deals are impressive and the vehicles are great to drive. 2016 Buick Regal Sport Touring – This is a car that comes with the Ewald savings and the manufacturer’s rebates you want to enjoy. Because of the discounts given it’s easy to have your credit approved for a vehicle that’s full of impressive features for you. Come to this Buick dealer near Milwaukee and take the Buick Regal for a ride today. 2016 Buick LaCrosse Premium I – You can have the ride you’re looking for and the payments that are lower than ever on this car that gives you more space and comfort than any other Buick sedan. This LaCrosse has been made more affordable than ever with a reduced price that makes it easy for you to enjoy the ride and have the right vehicle from this Buick dealer near Milwaukee. 2016 Buick Encore AWD Sport Touring – Do you want an SUV that offers you $8,000 in savings? If so, this is the one for you. 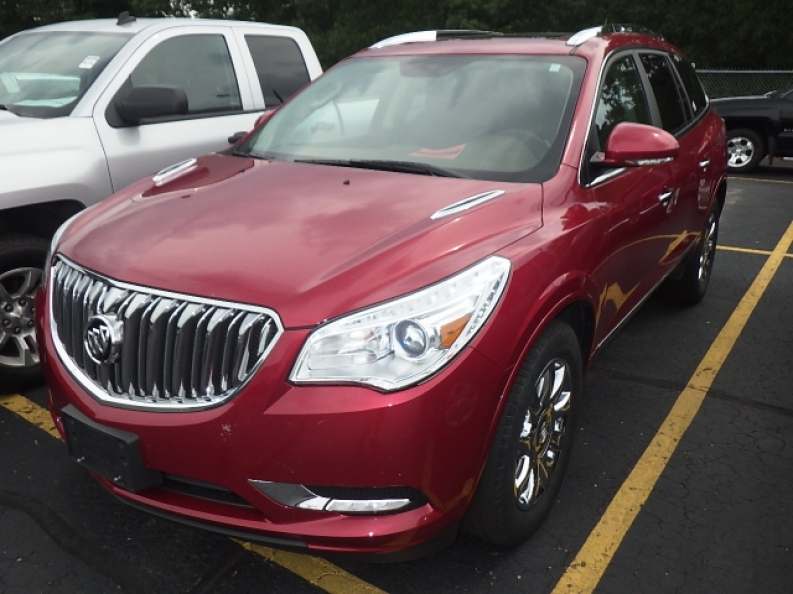 After all the savings the price is under $23,000 and you can enjoy the turbo engine, the AWD capability and the equipment that you want to enjoy in an SUV that helps you have what you need from this Buick dealer near Milwaukee. 2017 Buick Enclave AWD Leather – This SUV has the added room you want and the comfort of a full luxury vehicle at a premium price. You’ll want to drive this SUV on a daily basis and enjoy the way it feels when you take it out on the road so that you can have the enjoyment and capability you need. Come in and see what the Enclave has for you at this Buick dealer near Milwaukee. 2016 Buick Verano FWD Leather – This is a limited time car as the Verano is not being built for 2017 and forward. If this is a car you want to drive, and with its great small size, efficient engine and equipment packed interior you’ll love it and the way it performs. Come get one of these little beauties at Ewald Chevrolet Buick, the dealer you know you trust in the Milwaukee area. Ewald Chevrolet Buick has the deals you want and the vehicles you’ll love to drive. Come on in and see the amazing selection of vehicles at this Buick dealer near Milwaukee where you always find great prices and the ride you’ve been looking for.